For those who are still pumped after seeing the teaser trailer for Thor: The Dark World this morning, there's more goodness from Asgard. After teasing some artwork last year for an exclusive cast and crew poster designed for those working on the film, frequent Mondo artist Olly Moss has released images of his rare posters for the Marvel sequel. 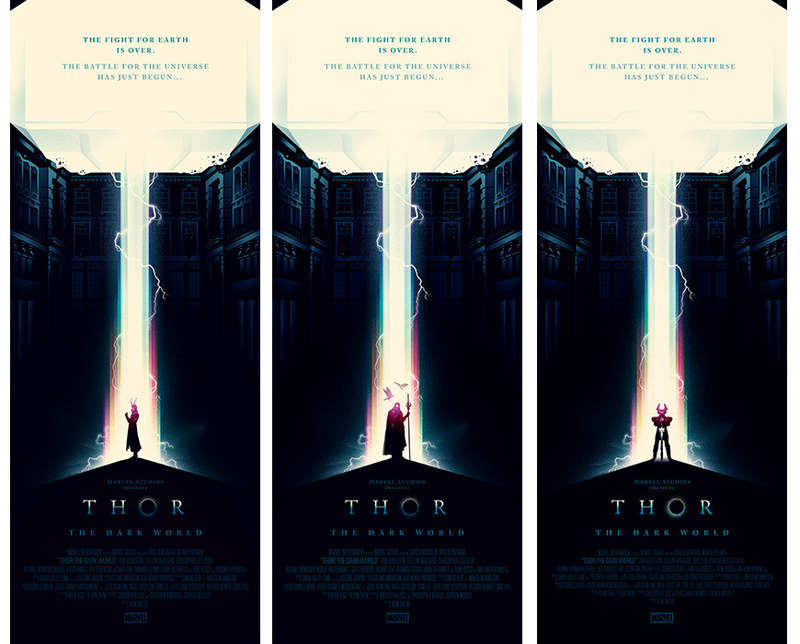 The design of each poster is pretty much the same save for four different characters standing in the bifrost bridge portal. And if you're paying close enough attention, you'll see that the lightbeam and the architecture forms a pretty familiar tool used by the God of Thunder. Posters below! That's Thor himself standing in the light on the first poster, and in case you can't see the figures in the other posters (you can see a larger version of the collection here), they feature Loki (Tom Hiddleston), Odin (Anthony Hopkins) and Heimdall (Idris Elba). As Moss explains, "Each principal cast member had their own character on their poster." We're not sure if these are the only four principal cast members, but we're assuming there might be a few more versions of this poster out there as well. Either way, this is one print I would love to have on my wall. I just wish Mondo would make cheaper, reproduction prints. See the trailer. Olly Moss is a cool cat. I remember when he did designs for Threadless Tees. I still own some. He is a talent. Sooo why arent all Marvel movie posters this good? See Marvel/hollywood, you dont need sparks or useless explosions on a poster to make it good after all. 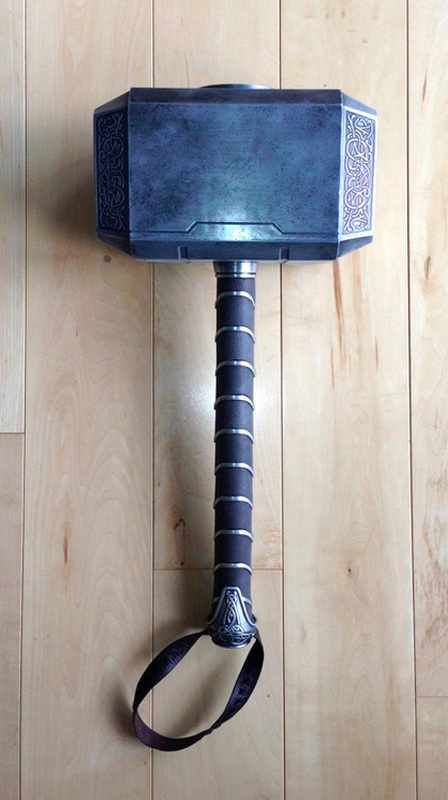 Unless Moss is simply an INCREDIBLY huge Thor fan I hope they paid him in money also. Go on I.M.D.B I already knew. because you'd be surprised how few of us can actually appreciate these kinds of designs. The rest of humanity seems to think a photoshoped image of two people standing back to back with stuff flying around them is the way to go. It's unfortunate that the majority of so called humans actually think creativity means "lot's of stuff flying around"